Wisdom is the best attribute human can have. Here we interpret wisdom as a perfect sense of analysing the facts in unbiased manner and using the result for the greater good. We love the tales of Akbar and Birbal, Tenali Rama, Panchatantra, Hitopdesh (or Hitopdesha) (and many other such stuff…) for the sole reason of the wit and wisdom it contains. 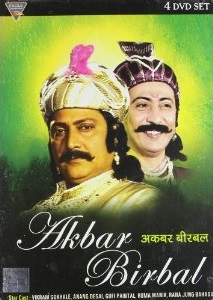 In our quest to review Hindi TV Serial Akbar and Birbal, which explores the incidents which gives something to think positively to the viewer, today we are going to analyse the episode exposing a racket run by a sage. We often forget that doing good or bad is not associated with the caste or social role of the person. The actions of the person who performs the things is the only responsible person for its consequences. If you do good, you can expect good reward, but not otherwise. There were no highways build those days and people often visit through the small roads which often pass through unmanned area and sometimes even from small jungles. Also a majority of people used to travel by foot, very few can afford carts or horses. And there were shady characters lurking several unmanned areas who used to rob the travellers. In one such way, a sage have built his hut, or let us call it a full fledged Ashram. He used to spread the knowledge of spirituality from the holy books. Respected for his work he was considered as a trustable fellow by the people living nearby. Before a few days she was passing by this area and when she found that there is no was she can reach to her home back before night, she decided to deposit the valuables she possess into the Ashram. She thought it will be dangerous for her to take it to her home. And, she had to pay visit to a person in the village nearby after a few days so she can take the valuables when she come for that. The sage, who is the owner of the Ashram have asked her to go inside the Ashram and take it from where she have hid her valuables. She however was unable to find the things where she left!!! When she enquired the sage, he claimed to have no knowledge of the stuff! She accused him for robbing her valuables and decided to bring the matters to Akbar’s court. After hearing her claims the courtiers have had a conversation. There was a dispute of the thoughts and vision between Mulla Do Pyaza and Birbal mainly. It was a fact that accusing a religiously respected person will create chaos and on the other hand, one cannot leave the guilty person without punishing. So there is a dilemma that how to get the justice done. Birbal approach to take the matter in his hand. What happens then after is the rest of the episode. The episode sticks to the central thought: justice is for everyone. A person’s social, economical or even political status have nothing to do with it. Of course there is a proper way to tackle tricky situations which can otherwise prove dangerous. Through the characters the messages of ethics, morals, honesty, responsibility, wit, wisdom and cleverness is conveyed nicely. The heart and soul of the episode is the script and dialogs which are well written. Even the background music is fantastic. The set are not larger than the life or too glorious, as we used to see in the TV serials these days. But they are effective of course. The technology available those days was not so advanced, so you may find a few stuffs below your expectations. Sometimes you find the royal wardrobe a bit too eye-catcher; otherwise it is good. The camera angels and cinematography is well thought. The remastered DVD comes in a nice packing and is good to watch. The resolution is not HD but it is not bad either. The commendable performance by principal cast especially Vikram Gokhale and Anang Desai are a pleasure to watch. Roma Manik and Gufi Paintal are competent in their small roles. Not much to be talked about Rana Jung Bahadur’s role in this episode. The actor playing the sage is having the persona for his character but we expect him to perform better. Overall an episode with good content and hence not to be missed.